Vijayadashami is the last day of the 10-day Dussehra festival and the day after the nine-day Navratri festival. The murtis of Goddess Durga are immersed on the day. 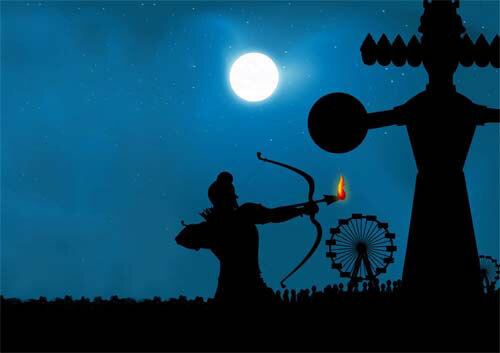 Dussehra 2019 date is October 8. Vijayadashami 2019 is observed as Vidyarambham in Kerala (October 8) and it marks the end of Mysore Dasara. Please note that Durga Puja immersion is marked on October 8, 2019 in Bengal. Saraswati Puja comes to an end in many regions with Saraswati Balidan Puja on the day. Dasara Puja holidays are observed during the period starting from Mahalaya Pitru Paksha Amavasya (September 28). Vijayadashami is marked on October 8, 2019 in calendars followed in North and Western parts of India. Vidyarambham in Kerala is marked on October 8, 2019. Immersion of Goddess Durga Murti is marked on October 8, 2019 in Bengal. Dussehra is marked on October 8, 2019 in calendars followed in Karnataka. Vijayadashami is marked on October 8, 2019 in calendars in Tamil Nadu. Ayudha Puja is marked on October 8 in Kerala, Tamil Nadu and Karnataka. 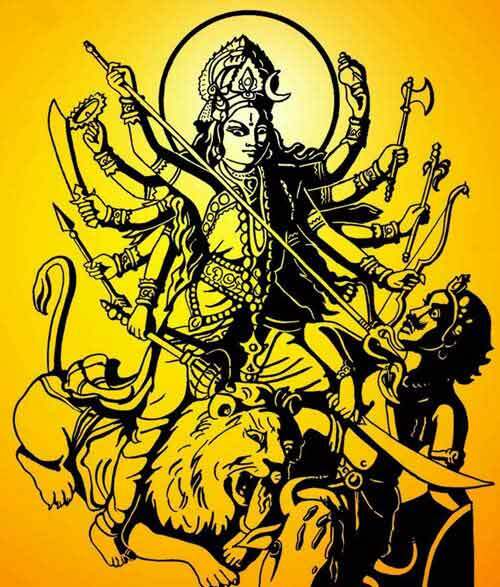 Symbolically, Vijaya Dashami and Dussehra are the victory of Good over Evil – Goddess Durga annihilating Demon Mahisha and Lord Ram defeating Ravana. Symbolically, these wars are the prolonged struggle against the ego and ignorance in each human being. After the struggle there is the day of new beginning – Vijayadasami. We attain Vijaya or victory when these ten qualities are removed from life. The festival is therefore known as Vijayadashami signifying Vijaya (victory) over these ten qualities. It is also believed that Lord Ram performed ‘chandi puja’ to invoke the blessings of Goddess Durga for slaying Ravana. 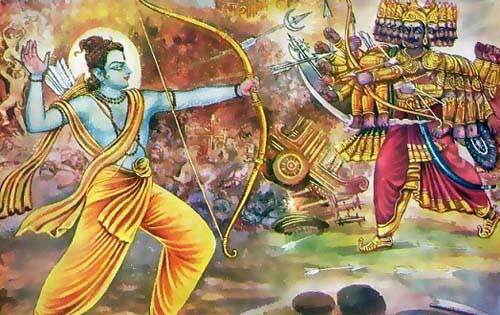 Pleased with Lord Ram, Goddess Durga or Goddess Chamundeshwari divulged the secret to Lord Rama on how to slay Ravana. Thus there is a link between the Durga Puja and Lord Ram. Dasara is observed on the tenth day of the waxing phase of moon in Ashwin month. The main rituals on the day is the burning of the effigy burning of Ravana, Kumbhakarna and Meghnad. Symbolically, Dasara is the victory of good over evil. The most colorful and popular Dasara festival takes place in Mysore in Karnataka and in North India. In Karnataka, especially in Mysore, Dasara festivals are held for 10-days and the final day celebrates the victory of Goddess Chamundi or Goddess Chamundeshwari over Demon Mahishasura. Here the 10-day festival is known as Dasara – not just the final day. In North India, Dasara is believed to be the day when Lord Ram annihilated Ravana. On the final day of Dasara celebrations, huge effigies of Ravana, Kumbhakarna, and Meghnath are burned. Vijayadashami marks the end of the Durga Puja. Navratri festival which begins on the first of the bright half of Ashwin month (September-October) ends with Vijayadashami celebrations in most parts of India. All tools and books that were untouched during the previous day (which is the Ayudha Puja day) are taken up after blessings from the Goddess on the day. Many people start learning music, art and new courses on the Vijayadasami day. Children are initiated into the world of letters on the day. People also use the day to begin new businesses and make new investments. Goddess Durga Murtis worshipped during Durga Puja are immersed in water on the day. Kullu Dussehra begins on the day and continues for seven days. Dashain Festival in Nepal also comes to an end on the day. Jayanti (birth anniversary of Madhvacharya is observed on the day. Somnatha Brata is observed in Orissa on the day. The Ghatasthapana Grass which was religiously grown from the first day of Navratri is cut and distributed among friends, neighbors and relatives. Goddess Aparajita form of Durga is worshipped on the day. Bathukamma Festival concludes in Telangana. Started in 1723 AD by Maharaj Durjanshal Singh Hada. Massive effigies of Ravana, Meghnath and Kumbhakarna on Dasara day. Traditional food can be enjoyed a plethora of food stalls. The main highlight of the festival is the setting fire to the sky-high effigies of Ravana, Meghnath and Kumbhkaran on Dasara Day. Enactment of Ram Leela musical.